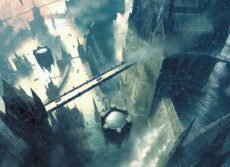 MTGA March Update will bring some style! And here’s some popular questions about upcoming changes and answers from the devs. Card styles allow you to change how the front of your card looks. 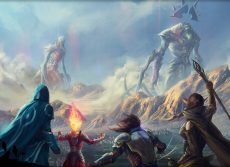 For this update we’re adding a style unique to MTG Arena that combines a parallax effect with extended artwork. We’ll be previewing a few more of these cards leading up to next week’s update. You’ll also be able to see which cards have card styles in-game through the deck builder, which now has a new filter option specifically for card styles. Selecting a card will provide more information on how the card style can be obtained: through bundles, seasonal rewards, play, or purchase through the deck builder. And take note of the single pip! Once the card style is acquired, it unlocks for every copy of that card illustration in your collection! Card styles are optional cosmetic treatments that change the way the front of a card looks. Unless otherwise noted, card styles do not add any cards to a player’s collection.They also have no effect on game play. HOW DO I VIEW CARD STYLES? HOW DO I APPLY CARD STYLES? Card styles can be applied to any card in a player’s collection that uses the same illustration. If a card style is unlocked, you can select the card and chose to either apply the card style or use the default illustration:Important Note: Card styles are based on a card’s illustration, and not the card’s name. For example, if a card shares the same illustration across multiple sets (e.g. Luminous Bonds in Core Set 2019 and Rivals of Ixalan) the corresponding card style will be available for both versions of that card. If a card has a different illustration (e.g. Luminious Bonds in Guilds of Ravnica) it will have its own card style that must be acquired separately. You also cannot “mix and max” the use of a card style. For example, you cannot have a card style apply to two copies of Healers Hawk, and not apply to the other two copies in your deck. HOW DO I UNLOCK CARD STYLES? Many card styles can be purchased directly in-game using Gems. Card styles that you can purchase will show a Gem cost beneath the treatment. Once a card style is acquired, you can apply it to all cards in your collection that uses that illustration– you do not need to purchase it more than once! Card styles do not add cards to a player’s collection. If you purchase a card style or acquire one through play it only unlocks the ability to apply the cosmetic treatment. If you receive a card style for a card currently not in your collection, you will need to acquire the card first before you can apply the style to it. HOW MUCH DO CARD STYLES COST? Other card styles will be available as part of bundle, or unlocked through play (special events, seasonal rewards, etc.). Once acquired, a card style is unlocked for all cards that uses that illustration in your collection – you do not need to acquire it multiple times! HOW DO CARD STYLES WORK WITH REPRINTS? Card styles will apply to all versions of the card with the same illustration, regardless of what set it’s in. This includes future reprints with the same illustration after you’ve already obtained the card style. The card style would not apply to reprints with different illustrations, though card styles for the new illustrations may be available separately. Unfortunately card styles for basic lands will not be a part of this update, but devs plan on adding them in the future! Also devs are working on a way for you to pick your basic land illustration when using the deck builder. They also plan to continue giving players access to basic land illustrations from each card set in MTG Arena as part of their collection. 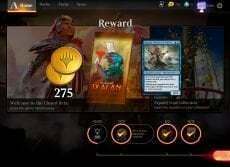 Other versions or card styles of basic lands may require players to acquire them separately through play, the store, or other rewards. More avatars! They’ll work just like avatars currently do, only now there are more of them. Before you ask, we’re not removing any of the avatars that are currently available. No takesy backsies on the options you already have! 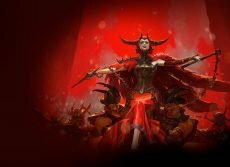 Huatli and Angrath (which were used during Closed Beta before players could select their Avatar) will be available for purchase with either Gems or gold, and each of the ten guild leaders from Ravnica is also available. HOW DO I VIEW AVATARS? HOW DO I UNLOCK AVATARS? When you select a locked avatar, a button will appear that will direct you to the location in the store where it can be acquired. You can also go directly to the store and navigate to the “Avatars” tab or the appropriate bundle. HOW MUCH DO AVATARS COST? You will be able to purchase Huatli or Angrath for either 500 Gems or 3000 gold, each. You can unlock additional avatars inside store bundles – more info coming soon! Card sleeves are optional cosmetic treatments that change the way the back of a card looks. Once a card sleeve is acquired, you can apply it to as many decks as you like. They have no effect on game play. HOW DO I APPLY CARD SLEEVES? Card sleeves can be applied in the deck builder. You can click the back of the card located next to the deck box to bring up the card sleeve browser. Pick the card sleeve you wish to use, and hit “Select” to apply it to your deck. You’ll be able to see a deck’s card sleeve in the deck builder, the deck details page, and when viewing all of your decks. As a reminder, you can apply the same card sleeve to as many of your decks as you like. HOW DO I UNLOCK CARD SLEEVES? Some sleeves you’ll be able to purchase directly through the store, while others will be included as part of a bundle. Additionally, some sleeves will be unlocked through play. HOW MUCH DO CARD SLEEVES COST? Other card sleeves will be available as part of bundle, or unlocked through play (special events, seasonal rewards, etc.). WHEN WILL COSMETIC OPTIONS BE AVAILABLE? Cosmetic options will be available in-game starting with the 0.13.00.00 update, available on March 27th, 2019. I PURCHASED A CARD STYLE FOR A CARD THAT IS NOT IN MY COLLECTION. NOW WHAT? If you purchase or acquire a card style for a card that is not in your collection, don’t panic! When the card is added to you collection (though individual card rewards, opening booster packs, wildcard redemptions, etc.) the card style will be waiting for you. You won’t need to acquire it again! CAN YOU GIFT COSMETIC OPTIONS? Gifting cosmetics or other in-game items is not a feature we support at this time. While you cannot disable your opponent’s cosmetics, using them yourself is optional.